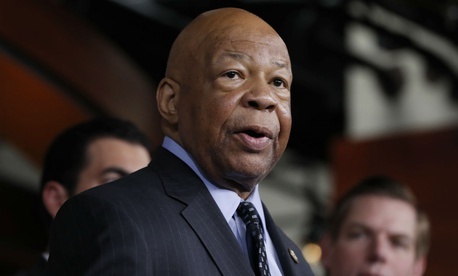 Democrats' Coming Oversight Agenda: Subpoenas But Little Bipartisanship? Democrats on the House Oversight and Government Reform Committee requested Monday that committee Chairman Rep. Trey Gowdy, R-S.C., issue a subpoena to the Health and Human Services Department after the agency failed to provide information related to a 2017 “gag order” on employees. Ranking Member Elijah Cummings, D-Md., said Monday that although the committee requested information on the directive on a bipartisan basis last May, to date they have not received a response. At the time, then-Chairman Jason Chaffetz, R-Utah, and Cummings described the policy as “potentially illegal and unconstitutional,” and said it could violate the Whistleblower Protection Enhancement Act. And although the agency has responded to a February 2017 request for documents relating to the agency’s use of nondisclosure agreements, issued by Reps. Mark Meadows, R-N.C., and Gerry Connolly, D-Va., Cummings and Connolly described the documents provided as inadequate. “HHS staff responded with an email providing a few select examples of nondisclosure language they have used in the past, but they did not provide the documents that were requested,” Cummings and Connolly wrote. The subpoena request is the latest in a string of such correspondence from Cummings to Gowdy, as Democrats on the committee have gone through previous requests to determine which agencies have not yet complied. On Jan. 11, Cummings requested a subpoena for documents from the Trump Organization relating to potential profits gained from foreign governments or foreign government-owned entities, and last week he asked that the White House be compelled to provide information about the security clearance process for several White House officials, including Michael Flynn and Jared Kushner. In their letter to Gowdy, Connolly and Cummings stressed the importance of the committee’s commitment to protecting potential whistleblowers. In most cases, Gowdy has denied Cummings’ requests or a full committee vote on subpoenas. But last October, Gowdy joined Cummings in issuing subpoena threats to the Agriculture and Justice departments, which had not yet complied with information requests related to top agency officials’ travel costs.